Abbey Rider Training is Swindon’s longest running bike school and was the first to offer a FREE introduction lesson. We work hard to maintain our standards. When it comes to motorcycle training we are leading the way in how courses are structured and delivered, and we believe that as well as top quality training, we offer the best value training available. We are accreditied by Motorcycle Industry Accreditation Centre (MCIAC). Which means that we are independently inspected and audited to ensure our levels of service exceed the requirements laid out by the DVSA. Choosing the right school is an important decision, you can find out here (MCIAC) why an approved school is a better choice, for further information about what to look out for when choosing a school Click here. 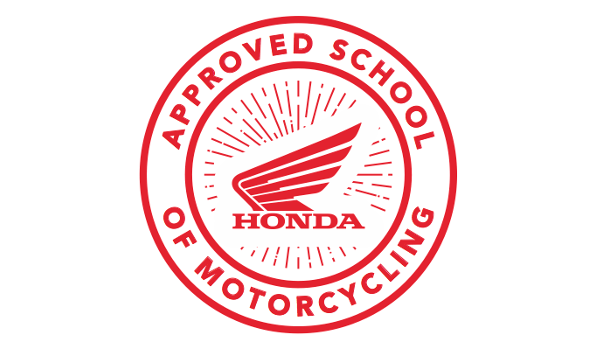 We are proud to say that Honda approached us to become one of their approved schools. You do not need to be a Honda customer to train with us, but as our customer we can offer you some amazing deals on a new bike, and even finance on your training, call us for more details. Whatever type of bike you want to ride, we can guide you through the entire process, from complete novice through to full licence, or even further with our advanced lessons or back to biking for “Rusty Riders”. Riding should be fun, not a test of endurance. We avoid intensive courses. We will never deliberately quote a ridiculously cheap course price just to get your booking, and we are always happy to explain our course structures so you can make accurate comparisons. Our courses are structured so they can be modified to suit any skill level. Beware of trusting quotes like “Two or three days and you’ll be fine”, especially from someone who has not seen you ride, that’s another reason to do our intro lesson. it allows us to give you an honest estimate. In what other trade do people quote for jobs unseen? Booking the wrong course could leave you paying for training you don’t need, or being left short and losing a test fee. The best thing to do is call and discuss your requirements. 01793 705 905.